Whilst the Ross Revenge enjoyed a successful period during her fishing years, equally significant is the passage in time where the Ross Revenge was converted into a radio ship and became home to Radio Caroline. As the ships longest standing occupant, Radio Caroline's journey to get where they are today can best be described as a rollercoaster ride of highs and lows - with some of the low points almost drawing closure to the whole operation. 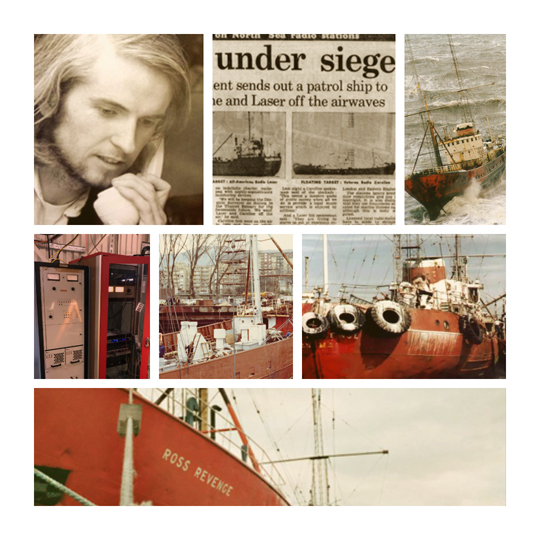 In this section we take a look at the key points in time for Radio Caroline and the Ross Revenge, from Ronan 'O' Rahilly's initial purchase through to the current successful relationship with Manx Radio.